Hyaluronic Acid a.k.a Sodium Hyaluronate or HA has collagen boosting benefits and one the most interesting ingredients when it comes to skin care, specifically. It helps in providing anti-ageing skin benefits making the skin more supple and stronger to fight wrinkles, dullness and fine lines. We might not know but most of the make-up products comprise of hyaluronic acid, especially gel-primers so as to maintain the hydration level of the skin. Below, we shall be discussing some about what is hyaluronic acid?, Purpose of hyaluronic acid, some great hyaluronic acid skin care products followed by the Hyaluronic Acid benefits. Basically we are here to burst some interesting facts of Hyaluronic Acid. Well, What is Hyaluronic Acid? Most of us might be wondering about it all the time. Hyaluronic Acid are naturally found in the body and are responsible for securing the moisture of the skin. This balance thus helps in fullness—youthful bright skin which most of us strive for. Hyaluronic Acid skincare products can be used as hyaluronic acid creams, serums and toners. Not only this, hyaluronic acid supplements are also flooded across the market. Below we're sorting the best Hyaluronic Acid skin care products which shall help in boosting the collagen and slowing down the ageing process of your skin. 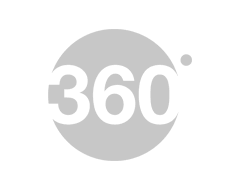 Our growing age reflection can be easily seen onto our skin. Dullness, sagging, fine lines, and dehydration are the most common symptoms which concludes that you need to add the best hyaluronic acid serum to your skincare regime. When it comes to skin, we want to treat our skin with the best. Hyaluronic acid serums combat the thirst of the dry skin. How to Use Hyaluronic Acid Serum for Best Results? For best results, using it twice a day as the last skin treatment step in your daily skincare routine and then use a moisturizer soon over it. If you use hyaluronic acid serum during day then add an ideal sunscreen over it as the final step. Oily skin might not require serum and moisturizer. In this case, using a serum alone can work. Using it over damp skin can do wonders. Below we've sorted some best hyaluronic acid serum in India which you can consider shopping online. Hyaluronic acid creams are best for dehydrated skin. Its just like adding an additional dose to your skin to make it supple and youthful. How to Use Hyaluronic Acid Cream for Best Results? Hyaluronic acid creams are used after you tone your skin using the best toner for your skin type. Hyaluronic acid creams add an additional layer to your skin and therefore help in bringing back that lost sheen. Those having oily skin can choose between hyaluronic acid serum or hyaluronic acid cream, depending on your skin care routine. In case if a moisturizer already works then you can add a few drops of hyaluronic acid cream to it while applying on face. But do not add in more quantity as it might cause redness or might cause some reaction which you surely don't want to invite. Below we've sorted some best hyaluronic acid cream that you can shop right away. Skin care regime involves cleansing, toning and moisturizing. In that case, hyaluronic acid toner can be the best skin care product to invest in. Water based hyaluronic acid toner makes your skin ready for the serum or moisturizer depending on what routine you follow. How to Use Hyaluronic Acid Toner for Best Results? The best way to make the most of hyaluronic acid toner is to use it soon after cleaning your skin. The toner helps in making your skin ready to absorb the moisturizer better. Well a patch test is recommended to see whether you don't come across any redness or skin irritation. ISNTREE Hyaluronic Acid Toner 6.76 fl. oz. New era of beauty evolution has come up with popular of Korean skin care products and the most used are sheet masks. Compact packaging, on-the-go beauty treatment especially for those who can barely spare time for salons. Hyaluronic Acid Sheet Mask can prove to blessing as these are enriched with serums, essential oils and other ingredients which are useful for skin. Ideal for those who are looking for supple and tighten skin in minimum possible time. How to Use Hyaluronic Acid Sheet Masks for Best Results? To replump your skin, you first need to clean and tone your skin. Then as your toner gets absorbed, you can opt to place the Hyaluronic Acid Sheet Mask onto your face. Allow it on your face for about 15-20 skin. See that if the consistency of the mask is thick then you can skip the moisturizer and simply rub your skin to get it absorbed. But in case, if the formulation of the Hyaluronic Acid Sheet Mask is watery, you might want to apply moisturizer once your skin absorbs all the nutrients intact in it. We've sorted the best hyaluronic acid sheet mask below so that you can shop them online. There are tons of Hyaluronic Acid Supplements that claims to be the Best Hyaluronic Acid Supplement. But before you opt for these, we suggest you to consult your doctor before consuming any. *Disclaimer: Hyaluronic Acid Supplements are suggested bsis popularity. HotDeals360 is not responsible on any side-effects and we suggest to consume these only after a doctor's advice. Hyaluronic acid (HA), or hyaluronan, is a carbohydrate molecule that occurs in our bodies. HA provides elasticity and the overall health of skin and joints, which tends to degrade after a certain age. Hyaluronic acid is a super-popular skin care acid. Regular usage of the Hyaluronic acid of up to 8 weeks is the minimum duration to seek the amazing results. Hyaluronic acid benefits all skin types, even those with oily and sensitive skin. Hyaluronic acid has the ability to provide lasting moisture to your dull skin. Its watery based takes time to absorb, keep calm to see the best results. Hyaluronic acid helps in pausing the fine lines, sagging of skin making it look much supple and soft. 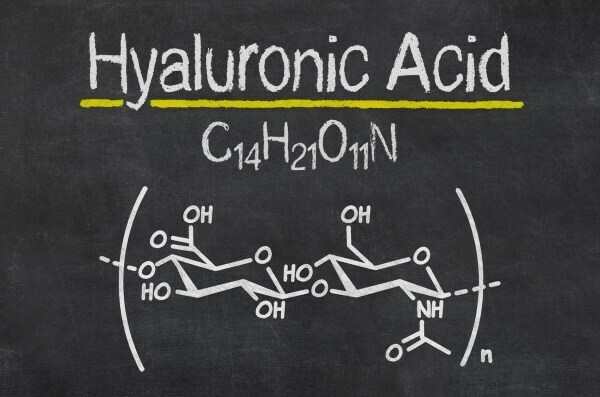 Hyaluronic acid works wonders on wrinkles and replumps your aging skin. Firms the skin and maintain the hydration for the much needed youthful rejuvenation. Forms a strong layer of barrier to protect your skin from all the outside pollutants. Hyaluronic acid has the healing and repairing properties, which makes your skin smooth and lively. Fights the UV radiation and acts an antioxidant defense so as to save your skin from early aging. Look for the products having atleast 1% hyaluronic acid as lesser quantity might not give the best results. Pro Tip: Look for the Vitamin C and hyaluronic acid serum combination as it boosts collagen production, fights pigmentation and diminishes dark spots, to stop your skin from aging by stimulating skin regeneration! Let the serum sit and apply the next product only after 15 minutes, when its absorbed into the skin completely. You can use it on your skin, even when you don't have wrinkles or sagging as a protective shield. Great skin care product to boost the elasticity and hydration of the skin. Hyaluronic acid contributes with anti-aging benefits to the skin. Hyaluronic acid serums can be incorporated in skin care regime. Tighter skintone, smoother texture, replumped skin and youthful look, just by using one facial acid, Hyaluronic acid! Hope this article on best Hyaluronic acid skin care products that has Hyaluronic acid serum, cream, toner and sheet mask have helped you in picking the right product. Drop in your valuable suggestions and feedback in the below comments. We'd be glad to hear from you! Best Intimate Wash For Women, No Compromising This!